(L-R): Cardi B performs onstage during 102.7 KIIS FM’s Jingle Ball 2018 Presented by Capital One on November 30, 2018 in Inglewood, California. ; Janelle Monae performs on June 28, 2018 in Los Angeles, California. The Recording Academy has announced its first round of performers to hit the stage on music’s biggest night. 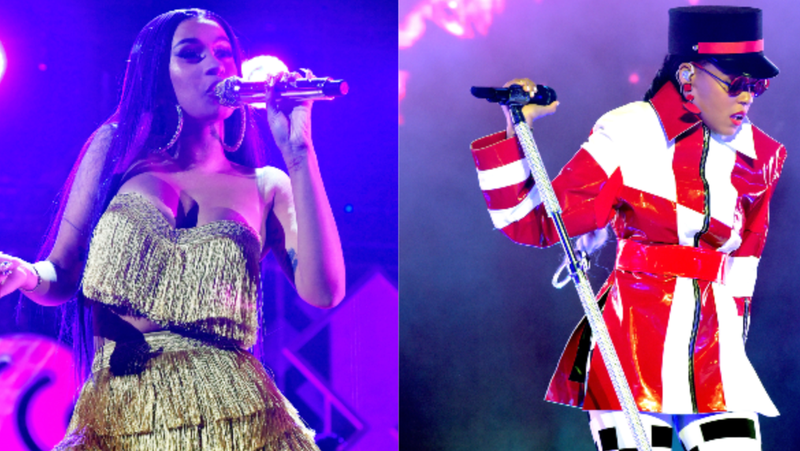 According to a press release, Cardi B and Janelle Monáe are among that primary roundup of performers, along with Camila Cabello, Dan + Shay, Post Malone, Shawn Mendes and Kacey Musgraves. Cardi doesn’t have any gramophones at the moment, but she has a fabulous chance this year, with five noms: Record Of The Year (“I Like It”), Album Of The Year (Invasion Of Privacy), Best Pop Duo/Group Performance with Maroon 5 (“Girls Like You”), Best Rap Performance (“Be Careful”) and Best Rap Album (Invasion Of Privacy). Monáe has two Grammys to her name and may snag some more with two noms this year: Album Of The Year (Dirty Computer) and Best Music Video (“PYNK”). This early in the game, all we can do is predict what would happen on that Staples Center stage in Los Angeles. I can imagine there will be superfluous stripper celebrations onstage. Money being throwing in the air, ample asses twerking, Offset shading—the works. What if there’s a City Girls insert?! Janelle will give us a whole film. Cinema onstage. Avant garde excellence. On ode to ArchAndroids and Afrofuturism. You know when niggas say “issa movie!” and it ain’t a movie at all? Janelle’s performance will actually be a movie. Watch. Will Tessa Thompson make a surprise appearance? I certainly hope so, those two make an enticing performing pair. Whatever happens, we’ll be there. Just look over your shoulder(s), honey. Oooh! The 61st Annual Grammy Awards will air live Sunday, February 10, 2019 on CBS, at 8 p.m. ET / 5 p.m. PT.